The modern business climate has, for some time now, been spooling up demand for accountability and, even more so, efficiency. Whether you think of efficiency as "doing more with less" or just avoiding the expenditure of financial, human, or natural resources the end result is the same and calls for similar prerequisites. We live in a society of buildings, each with a mapped out function. Most buildings are predominantly occupied by people, bringing a requirement to maintain temperature, relative humidity, and air quality at levels of suitable comfort for human occupants. The energy consumption involved with providing that level of comfort stands as a bold line item in the operating expense ledger for any building. That is where accountability and efficiency come in. It is in the building stakeholders' interest to have knowledge regarding rates and quantity of thermal energy usage, as well as efficiency measures of delivered output per unit of input energy. Installation of the BTU meter. Typically takes about 4 hrs. thermal energy throughout an enclosed space. Commercially available technology now allows a building operator to accurately measure that movement of thermal energy throughout a system or building. 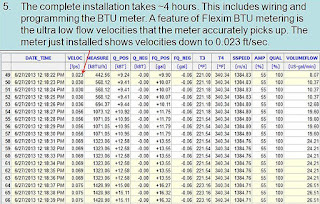 The process is generally called BTU metering and has a number of justifiable benefits. Real time equipment performance measurement. 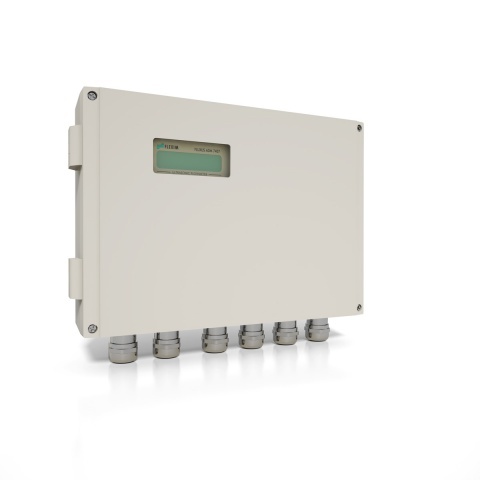 Sub metering can indicate specific areas of consumption. Ability to directly bill multiple tenants in a single building for their thermal energy usage. Monitor and balance energy flows. 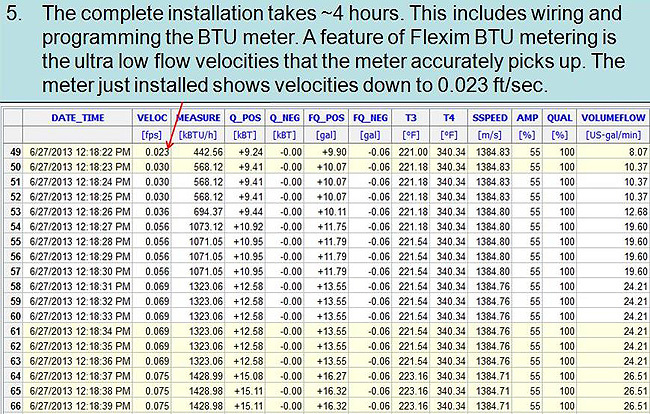 BTU metering essentially involves inlet and outlet temperature measurement of heat transfer liquids, along with their flow rate. While the principle is simple, the intricacies of the measurement methods and equipment accuracy can have a substantial impact on the accuracy, and thus the benefit, of the measurement data. Additionally, adding more instrumentation to an already complex system can create an additional on-going maintenance and calibration burden to retain the necessary levels of accuracy and function. 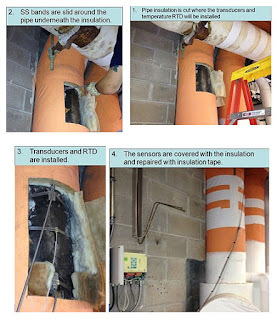 Success at gaining the benefit of the performance data while minimizing the additional maintenance burden due to the instrumentation should be the goal. 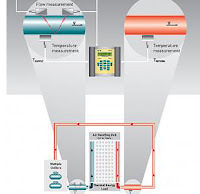 Selecting the right equipment or instrumentation is the most important step along the path of adding measurement capability to increase efficiency. Without a solid stream of reliable data, useful decisions become difficult. Contact a product application specialist and share your goals and challenges. Leverage your own knowledge and experience with their product application expertise to develop an effective solution. The modern business climate has, for some now, been spooling up demand for accountability and, even more so, efficiency. Whether you think of efficiency as "doing more with less" or just avoiding the waste of financial, human, or natural resources the end result is the same and calls for similar prerequisites. HVAC (Heating, Ventilation, Air Conditioning) primarily is an endeavor that generates and moves thermal energy throughout an enclosed space. Commercially available technology now allows a building operator to accurately measure that movement of thermal energy throughout a system or building. The process is generally called BTU metering and has a number of justifiable benefits. 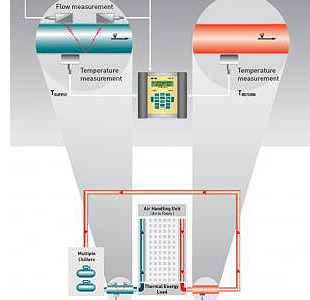 Selecting the right equipment or instrumentation is the most important step along the path of adding measurement capability to increase efficiency. Without a solid stream of reliable data, useful decisions become difficult. Contact a product application specialist and share your requirements and goals. Combining your process and system knowledge with their product application expertise will produce a good outcome.